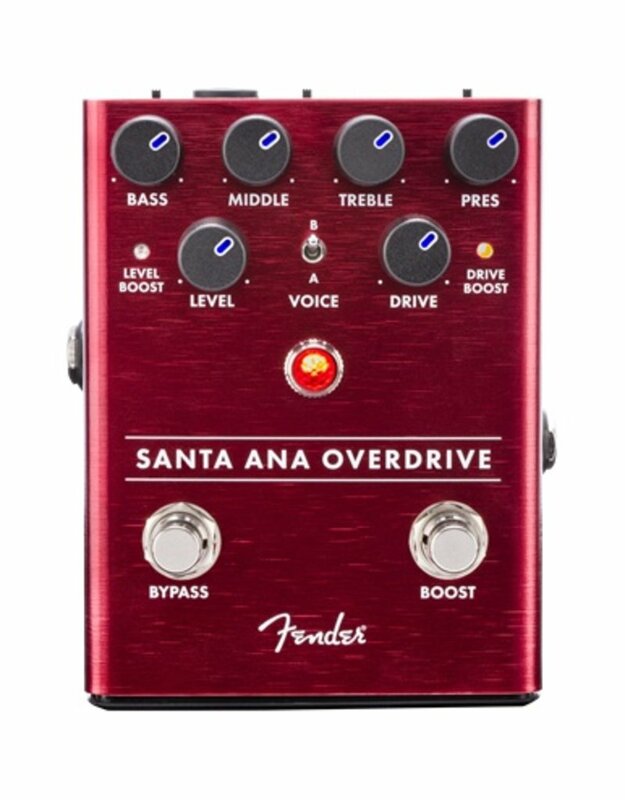 Fender helped generate the classic guitar tones that inspired players to create new music, and now with the Santa Ana Overdrive, we’ve brought our expertise to stompboxes. Armed with FET technology, this pedal lets you dial in sounds varying from “just a little hairy” all the way to thick, fully saturated overdrive. The flexible tone controls unlock a wide range of sonic flavors. This pedal cleans up with the guitar’s volume control, just like our famous amplifiers. 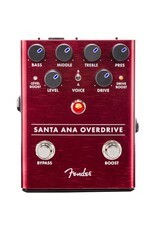 Designed by Fender's in-house team of experts, the Santa Ana Overdrive is an all-original circuit. We consulted with a plethora of players while designing this pedal, and the resulting stompbox is packed with stage-ready features. The chassis is crafted from lightweight, durable anodized aluminum. The LED-backlit knobs show your control settings on a dark stage at a glance. We even made swapping batteries quicker and easier with our exclusive “patent applied for”, magnetically latched 9V battery door. The Santa Ana Overdrive requires a 9V DC (center negative polarity) power supply with at least 150mA of available current.